For over 30 years, Premier has led the industry in production and sales of magnesia specialty products. As the leader, Premier remains on the forefront of research and development of magnesia applications. Premier’s Bio-Active manufacturing processes produce a superior, biologically receptive, mineral, nutrient and alkalinity source that makes it the product of choice for a diverse array of applications. 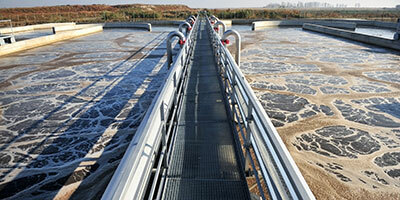 Among these applications, Thioguard® has evolved to take wastewater treatment to new levels. The use of Thioguard addresses a myriad of issues facing municipal wastewater systems today. Among these issues are system-wide H2S gas odors and corrosion, skyrocketing O&M, plant upsets and process inefficiency. Premier uses unique methods for manufacturing its raw magnesia to create a product that has superior biological reactivity as a divalent cation, nutrient and alkalinity source. Available in Thioguard, this technology enables Premier to address the many areas of wastewater listed above. Premier has committed thousands of man-hours in evaluating the role of magnesia in literally hundreds of applications. Our research has led to the development of dozens of grades of magnesia to best suit the needs of Premier’s many customers. Thioguard, one of Premier’s most recent and technologically extensive products, is demonstration of Premier’s undying commitment to excellence and determination in remaining on the forefront of our industry's R&D.